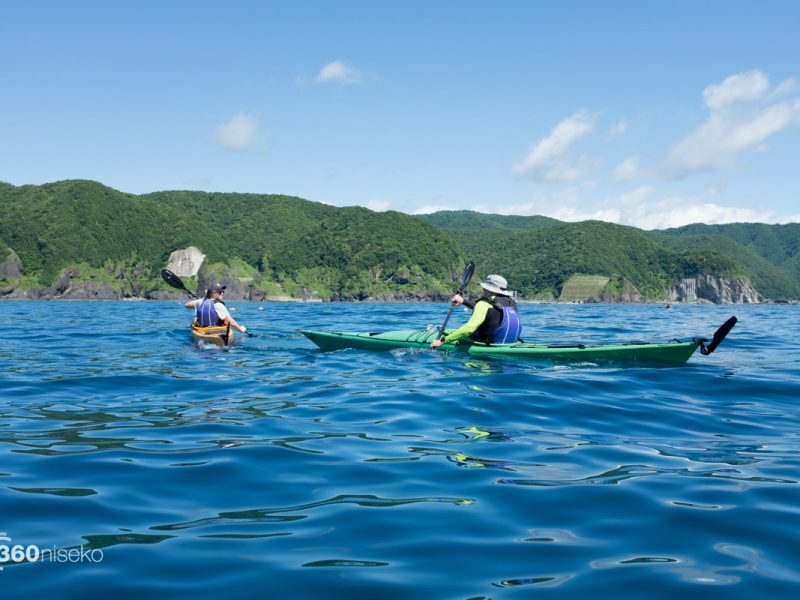 Sea Kayaking, Shakotan Hokkaido from 360niseko on Vimeo. 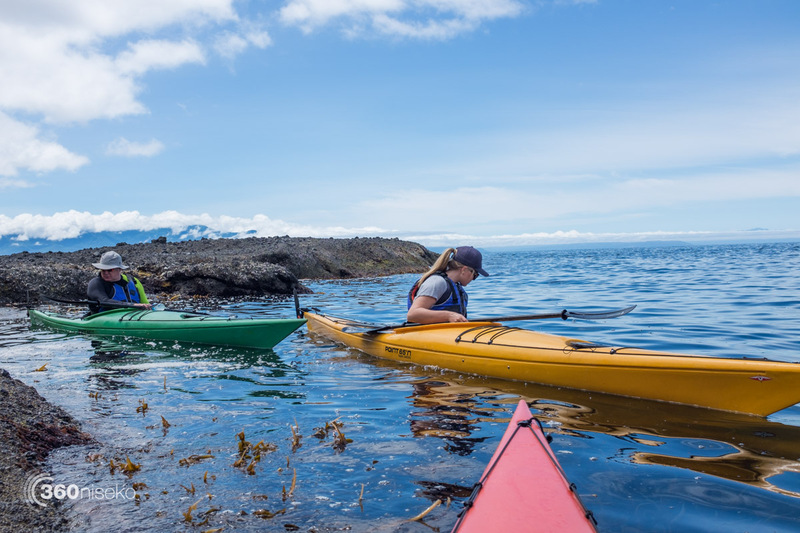 Last week we had the chance to head out with Toyru for a Sea Kayaking tour. Some of you may recall our blog post from last year about touring around the northern part of Shakotan. This year we toured around the southern part just north or Iwanai northwest of Niseko. After a 45 minute drive we were in the water and on our way. 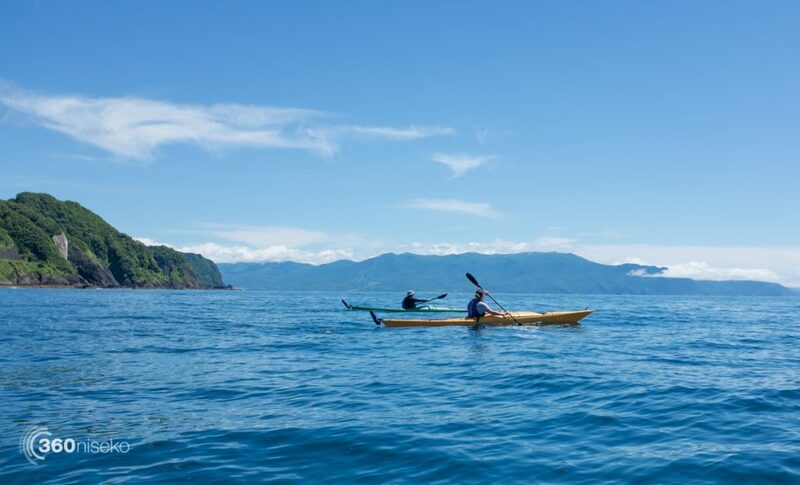 It is pretty amazing how stable the Kayaks are and once you get used to them and the whole experience of being on the ocean quickly becomes very relaxing. Cruising around checking out the ocean and stunning coastline is superb. After paddling for an hour or so we stopped for a swim and lunch. 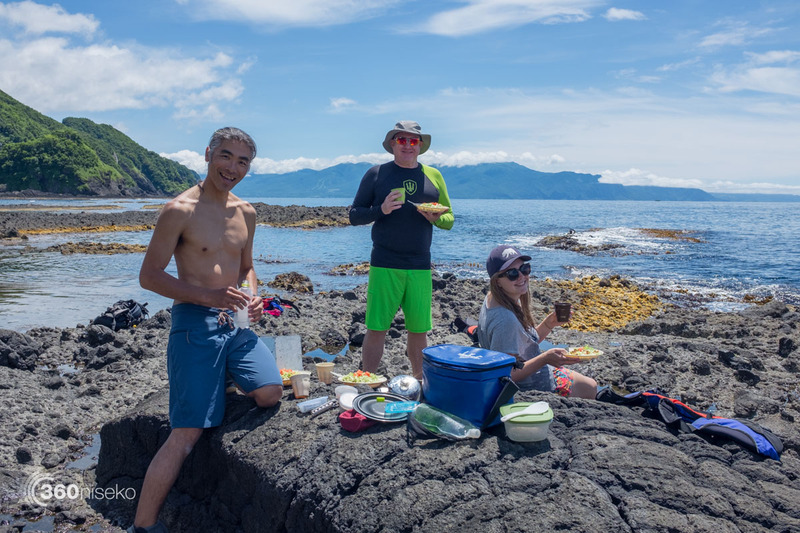 After lunch we headed out into deeper water hoping to get a view from the ocean of Mt.Yotei and Mt.Annupuri – unfortunately there was some cloud cover which blocked the view but it was still a fantastic vantage point along the coastline from our Sea Kayaks. 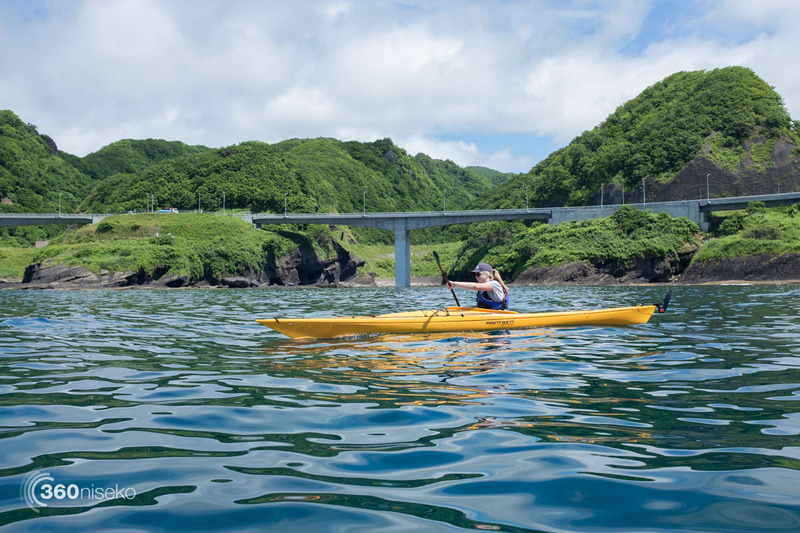 Although this southern part of Shakotan was not as spectacular as our pervious tour it is worth bearing in mind that all tours are subject to the prevailing weather which determines tour locations. There are a few other of local companies that offer tours including NAC, Hanazono Niseko. 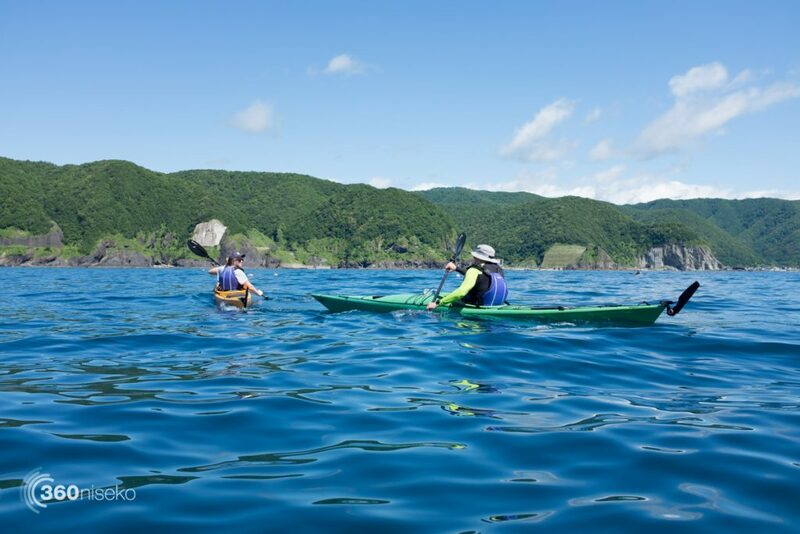 Sea Kayaking around Shakotan is simply awesome and highly recommended as summer activity to try while in Niseko.